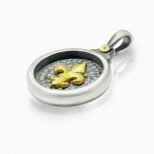 .925 Silver, 18 k Gold. 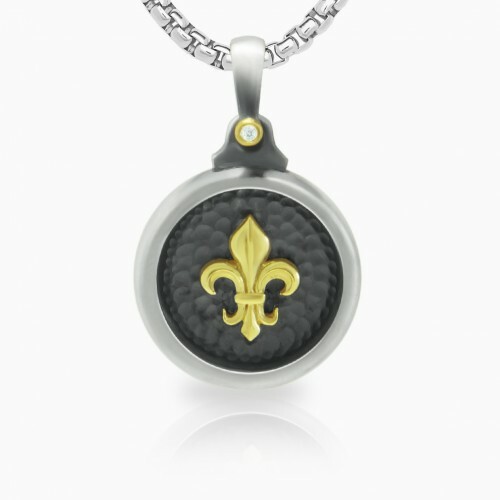 Gold center fleur de lis pendant with hammered and antique blackened backing. Thickness of pendant is 4.6 mm. Diameter is 23.4 mm (15/16 inch almost inch). Diamond is 0,02 ct. SI clarity, G-H color. 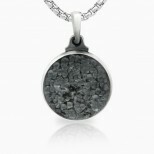 This listing is only for the pendant, chain is not included.